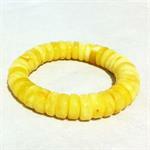 Amber Bracelets are very popular since Amber is a light weight stone and Amber has lots of positive energy in it. 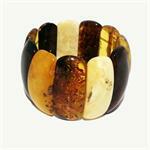 Enjoy our selection of fine Baltic Amber Bracelets. 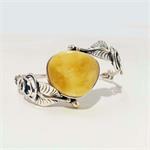 Some are set in Sterling Silver, while other are composed entirely of Amber pieces and are elastic. 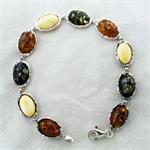 All of our Baltic Amber is 100% natural guaranteed and made in either Poland or Lithuania. 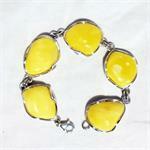 Sterling Silver Baltic Amber Link Bracelet 7"